We’d love your help. 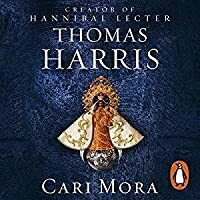 Let us know what’s wrong with this preview of Cari Mora by Thomas Harris. Twenty-five million dollars in cartel gold lies hidden beneath a mansion on the Miami Beach waterfront. Ruthless men have tracked it for years. Leading the pack is Hans-Peter Schneider. Driven by unspeakable appetites, he makes a living fles From the creator of Hannibal Lecter and The Silence of the Lambs comes a story of evil, greed, and the consequences of dark obsession. To ask other readers questions about Cari Mora, please sign up. 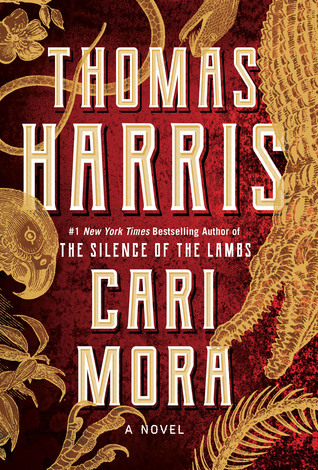 With CARI MORA Thomas Harris does what he does best - takes us on a spine-tingling, edge-of-your-seat ride steeped in intrigue and nail-biting suspense. You will not sleep. You will not eat. This book screams to be devoured in one sitting. A bit shorter than the other stories, so I am eagerly hoping for another with Cari Mora, I loveeeeed it! Damn man, I'm deeply love Hannibal Lecter series (read each book several times) and waiting for the next book almost 10 years after finishing Hannibal Rising, frankly say, that was the only unwritten book that I expected. So.. some days ago I receive here message about his new book, the wait is over. But this book not about HL. The only other Harris book, "Black Sunday" (which I, of course, also read, but it took me once) was just mediocre for me, incomparable to HL.